How to install the Mobile App and log in to your Docurated account? : Quark Software Inc.
You can curate and share documents using your mobile device by downloading and installing the Docurated Mobile App. The mobile app is supported on both iOS and Android platforms. Navigate to Apple Store or Google Play and search for Docurated. Click the Download button to download and install the application. 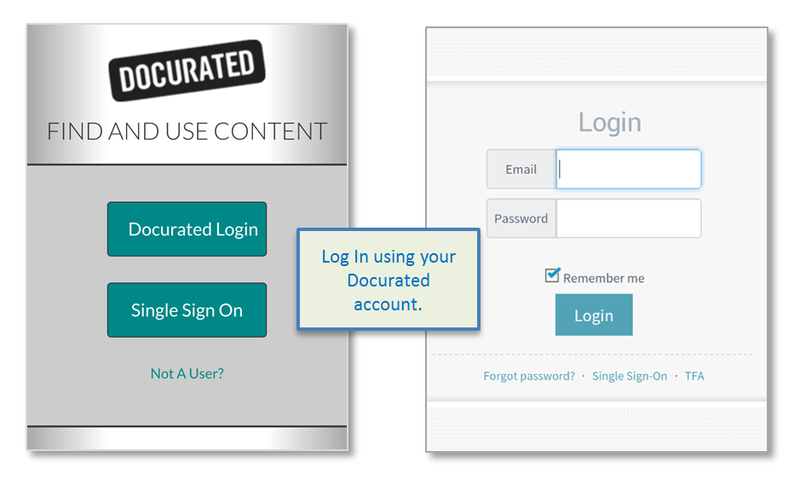 Once installed, open the Mobile App and log in to your Docurated account. If your organization is using Single Sign-On, use the SSO option to log in. Search for specific documents or files. Add curated documents or files to the Clipboard. Save documents to your mobile device.